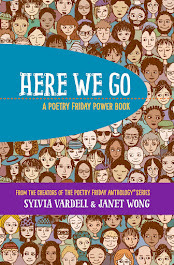 March is National Women’s History Month, an opportunity to seek out poetry by or about girls and women. Of course “girlpower” poems can be fun to share any day of the year, but we deserve our month, too. Here’s one of my favorite poems for the tired feminists out there, young and old. Told from the point of view of a feisty girl named Kate, she knows her own potential, but chooses to take a day off, so to speak. Even activists need a break now and then! I don’t think I’ll wash.
Adoff, Arnold. 1979. I Am the Running Girl. Harper. Bush, Timothy. 2000. 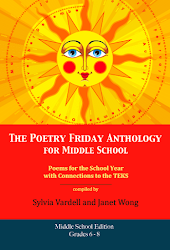 Ferocious Girls, Steamroller Boys, and Other Poems in Between. Orchard. Glaser, Isabel Joshlin. 1995. Dreams of Glory: Poems Starring Girls. Atheneum. Hollyer, Belinda. 2006. She's All That! Poems About Girls. Kingfisher. Hopkins, Lee Bennett. 1973. Girls Can, Too! A Book of Poems. Franklin Watts. Lewis, J. Patrick. 2005. 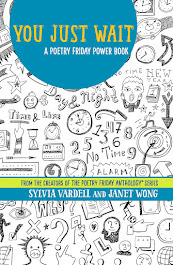 Heroes and She-roes: Poems of Amazing and Everyday Heroes. Dial. Lewis, J. Patrick. 2005. Vherses: A Celebration of Outstanding Women. Creative Editions. Little, Jean. 1990. Hey, World, Here I Am! HarperTrophy. Mora, Pat. 2001. Love to Mama: A Tribute to Mothers. Lee & Low. Morrison, Lillian. 2001. More Spice Than Sugar. Houghton Mifflin. Nye, Naomi Shihab. 2005. A Maze Me; Poems for Girls. Greenwillow. Paul, Ann Whitford. 1999. All by Herself: 14 Girls Who Made a Difference. Harcourt Brace. Philip, Neil, comp. 2000. It’s a Woman’s World: A Century of Women’s Voices in Poetry. Dutton. Singer, Marilyn. 1996. All We Needed to Say: Poems About School from Tanya and Sophie. Atheneum. Smith, Charles R., Jr. 2003. Hoop Queens. Candlewick. Williams, Vera B. 2001. Amber Was Brave, Essie Was Smart. Greenwillow. The Lee Bennett Hopkins Poetry Award, sponsored by Penn State University, was announced yesterday and I am pleased to share that news. The winner? We got bump in the beat where the crazy rhythms meet. This band’s on fire! Doesn’t that poem just beg to be HEARD? To be chanted, sung, or shouted out loud? 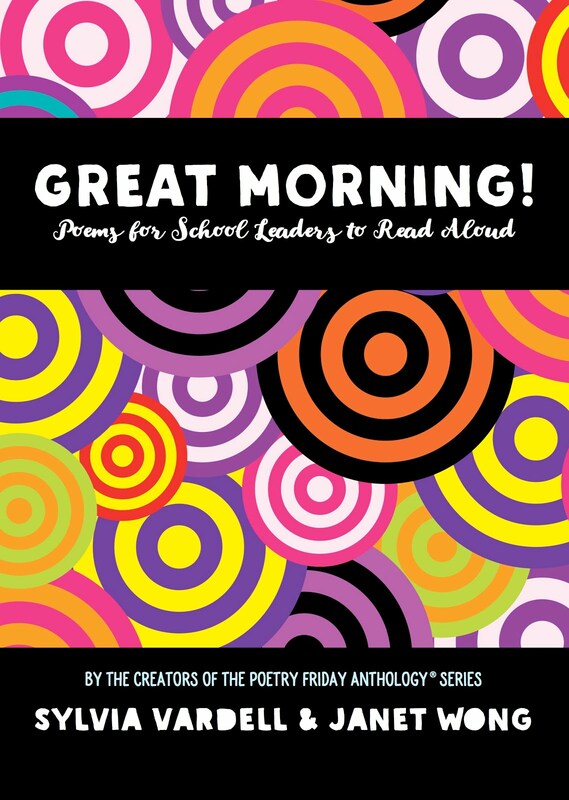 Involve the kids in bringing the poem to life—first by chanting the two word phrases after a narrator reads each primary line, then by calling out alternating lines, or adapting all the lines for multiple groups. Then follow up with adding piano, drum, horns or homemade instruments while saying the lines. Listen to recordings of jazz greats. Add movement, dance, even hip hop! The LBH award committee also recognizes a new, up-and-coming poet. The Lee Bennett Hopkins/IRA Promising New Poet Award was given to Joyce Lee Wong for Seeing Emily (Abrams). I’m embarrassed to say that I haven’t read that book yet-- somehow it slipped under my radar-- but I’ve ordered it and will write more about it as soon as I can. Congratulations to Joyce Lee Wong, too. Congratulations to Joyce Sidman for winning the first ever Cybils Bloggers’ prize for children’s poetry this year for Butterfly Eyes and Other Secrets of the Meadow (illustrated by Beth Krommes) published by Houghton Mifflin. 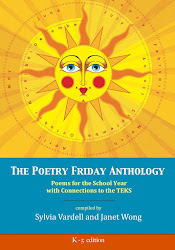 I also included it in my personal list of the best children’s poetry of the year, describing it as "full of “exquisite riddle rhyme pairs that explore the plants and animals of the meadow along with informative prose paragraphs and a glossary.” I’m a big fan of all of Sidman’s poetry and have written about her and her work in my upcoming book, POETRY PEOPLE, A PRACTICAL GUIDE TO CHILDREN’S POETS (due out this summer with Libraries Unlimited). Here’s an excerpt. If you’re looking for “love” poems for Valentine’s Day, you won’t have much trouble. Poets have been pouring out their hearts for centuries. “How do I love thee, let me count the ways” wrote Elizabeth Barrett Browning to her sweetheart, Robert Browning. Young readers feel this same longing and often gravitate to very emotional “love” poetry—both in their reading and in their writing. 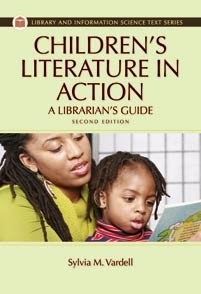 You might even be surprised how popular these can be with adolescent readers (both boys and girls). 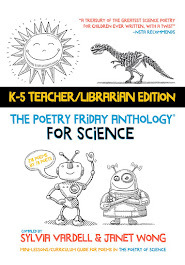 Ralph Fletcher has created an entire book of love poetry for young readers called I Am Wings; Poems About Love, dividing this small collection into two sections: “Falling in (love)” and “Falling out (of love).” One of the most notable poems is “Owl Pellets” which compares dissection in biology to the pain of rejection. I love that one! while i dissected a fetal pig. 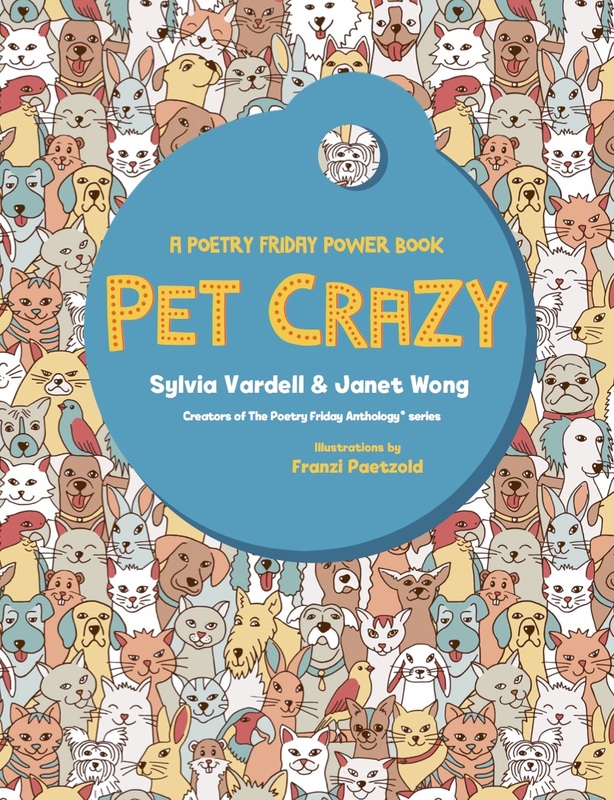 Why combine picture books and poetry? There are several reasons. First, after reading aloud a picture book there is often a natural lull. Sometimes children jump in with responses or questions, or sometimes there’s a call to “read it again.” Following up the reading with a carefully chosen poem is one way to extend the story experience. 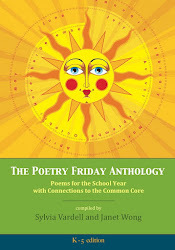 Pairing a poem with a picture book can deepen children’s understanding of the story’s theme or extend their knowledge of the topic. Conversely, the story can provide context for the poem. It can even lead to a “compare and contrast” discussion, as children ponder what they glean from each text. Practically speaking, it doesn’t take long to read a poem, but the impact can be very strong. Often, children will “pocket” a rousing refrain or rhythmic phrase from the poem to enjoy on their own. That’s the beauty of poetry—it appeals to both the ear and the heart. When combined with a beautifully illustrated and powerfully written picture book, the eye and mind are engaged, too. Take the plunge. Read a book and then share a connected poem. Or open with a poem to set the stage for a story. 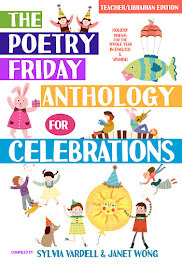 Use the poetry connection to share picture books with older readers who may enjoy this new spin. 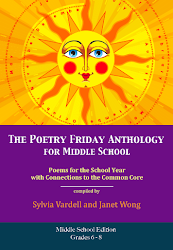 Share the poem out loud—like the story—and invite your listeners to participate in multiple choral readings. You will be joining in an ancient tradition of oral literature steeped in African roots of singing, chanting, testifying, and storytelling. K–Gr. 5. Experiencing the segregation of the 1950s in Nashville, a young African American girl finds the library is a welcome haven, one of the few integrated places in the community. 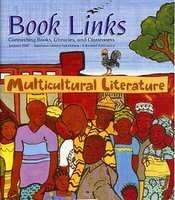 Poetry Link: “At the Library.” From It’s Raining Laughter by Nikki Grimes. Photos by Myles C. Pinkney. 2004. 32p. Boyds Mills Press, paper, $10.95 (9781590780770). Extend this Coretta Scott King Award–winning story by sharing Nikki Grimes’ poem “At the Library,” which depicts another “brownskin girl” who finds adventure and escape in the pages of library books. 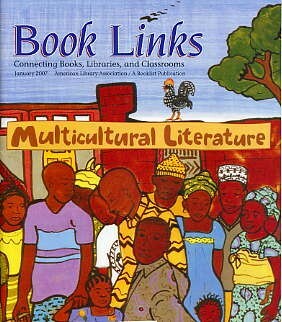 The complete article is available at the Book Links web site. Check it out!